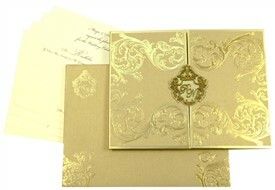 Ornamental “swan” motif and intricate gold foiled acanthus motif adorn the main card. 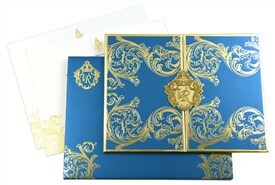 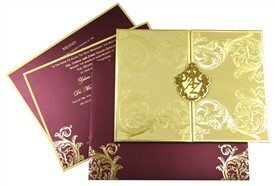 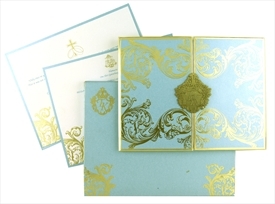 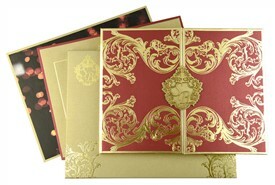 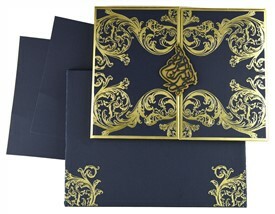 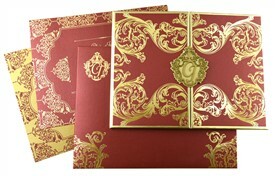 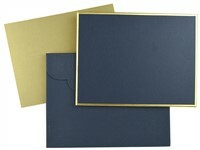 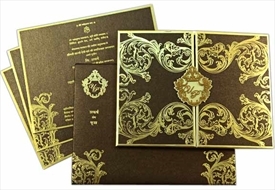 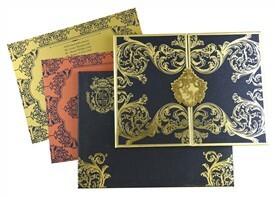 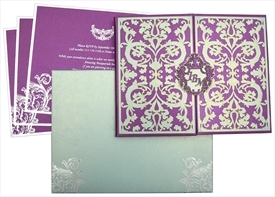 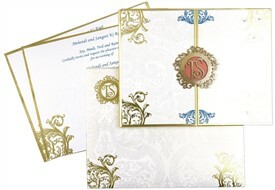 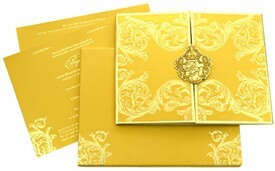 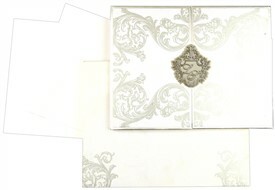 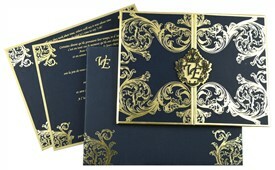 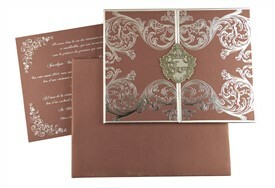 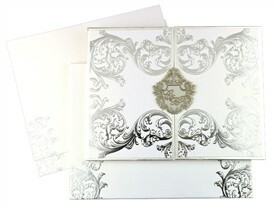 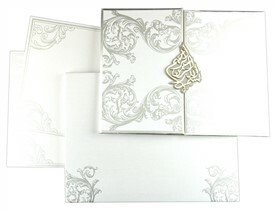 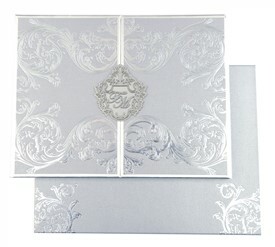 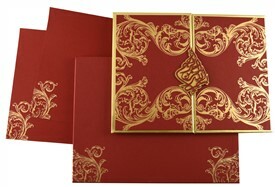 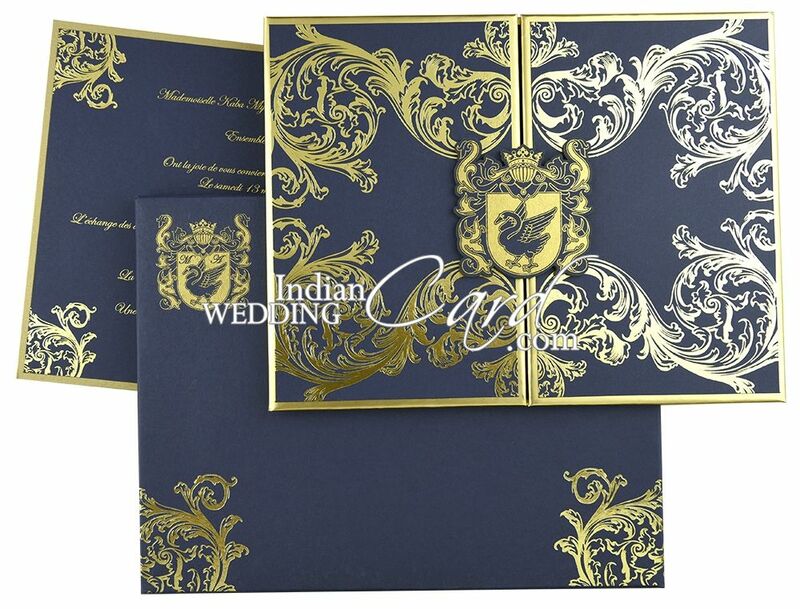 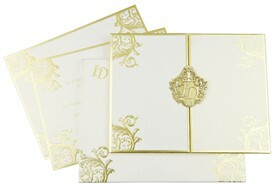 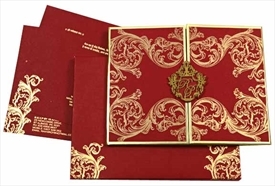 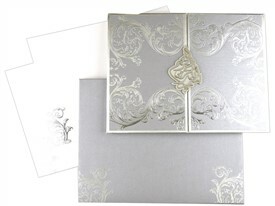 Inserts and envelope are also beautified with foiled acanthus motif at bottom corners. 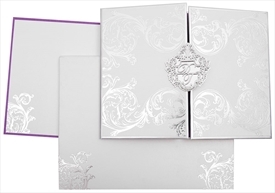 An extremely graceful wedding card design to make your invite grand! 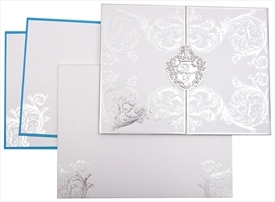 Blue colored paper (250 gsm) for main card top and back pasting, pocket, an insert top layer pasteup and mailing box envelope. 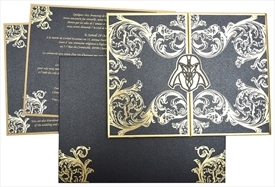 Gold foil paper (250 gsm) for main card covering and inside pasteup of mailing box envelope. 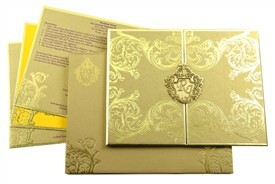 Gold shimmer paper (250 gsm) for an insert base layer.